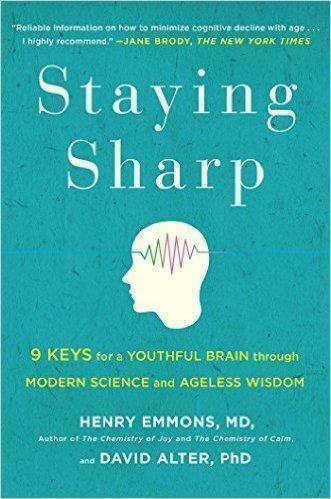 In “Staying Sharp: 9 Keys for a Youthful Brain through Modern Science and Ageless Wisdom” (Touchstone), coauthors Henry Emmons, a psychiatrist, and David Alter, a psychologist, focus on how to train one’s mind with the aim of living a healthy, relaxed, and engaged life. They explain the neuroscience and holistic medicine upon which they base their advice, and they aren’t dogmatic. What they suggest requires a certain amount of discipline but few dollars. Their suggestions are reasonable goals at any age: Get enough sleep and exercise and nurture your curiosity about the world.